It is no secret that there are marine animals and critters that can cause a serious injury and even death during diving. To get bitten can happen to any diver or snorkeler, but it is much safer to know and recognize your dangerous enemies. We created a list of the marine life creatures that should be avoided at all costs while scuba diving or snorkeling in Hawaii. 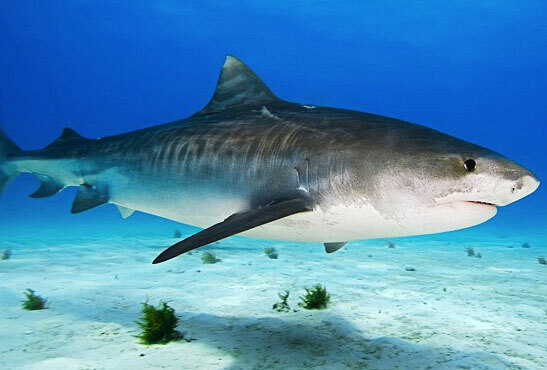 Tiger Sharks can attack and cause serous injury. They are seen mostly closer to the coast and they are ferocious hunters, with excellent eyesight, smell and the ability to feel low frequency pressure waves. Their teeth are very sharp like a blade and a tiger shark is the second largest shark reaching 13 feet long and weighing up to 1400 pounds. Tiger shark hunts alone and usually at night. The attacks on people are happen a couple of times per year in Hawaii. The most common safety tips are not swim or dive with open wounds since sharks can detect blood; do not wear anything shiny or glitzy, do not swim at night; to do splash a lot and avoid murky waters. 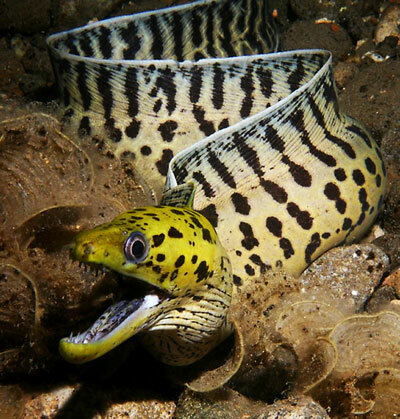 Moray eels are an aggressive fish and have sharp teeth that can cause damage to muscle tissue. In order to prevent the attack the best advice is to not poke fingers or hands in any holes, caves or small cracks were they are usually hiding. Sting rays and manta rays are found in the depths of 15-150 feet. They are rather big but quite animals. They will not attack until unprovoked, so it is a good idea to not touch them if you do not want to get bitten. Jellyfish is not seen often while scuba diving in Hawaii. But a week after a full moon cycle they are lots of them around. The jellyfish sting is a big problem in Hawaii. Their see through skin makes them hard to notice. 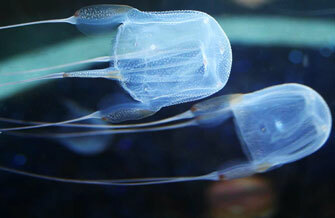 The jellyfish are filled with stinging tentacles that are very painful if touched. Medical attention is required especially if you are allergic to jellyfish sting. Last but not least is Barracuda whose bite is very dangerous and will require medical attention. The attacks are rare nowadays though. Barracuda is attracted to shiny things so do not wear any shiny jewelry while scuba diving or snorkeling. 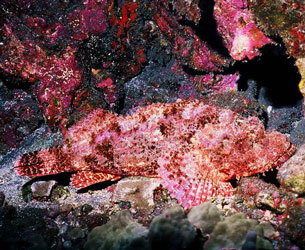 Scorpion Fish camouflages itself into the reef with the help of its feathery fins. So it is hard to spot it. It likes shallow waters and coral reefs where it hunts using its venomous sting. Try not to step on it or disturb it in any way.